As the weather cools down, and the holiday season approaches, those who would normally be single find themselves desiring to be “cuffed” or involved in a relationship. Since I’m one of the single ladies during this time, I’m going to share some tips on “surviving” the holiday season and resisting the pressure to pair up with someone simply because it’s cold outside and I want someone to cuddle up with. Before I jump in, I want to say that I am open to pairing up but it’s also true that many people pair up only during this season and break up after it’s over. How to survive being single during the Holidays? Spend quality time with friends and family! Don’t hang out by yourself all the time (something I’m actually guilty of doing a lot.. the joys of being an introvert) most of the time we may confuse the desire to pair up with the mere desie to socialize. 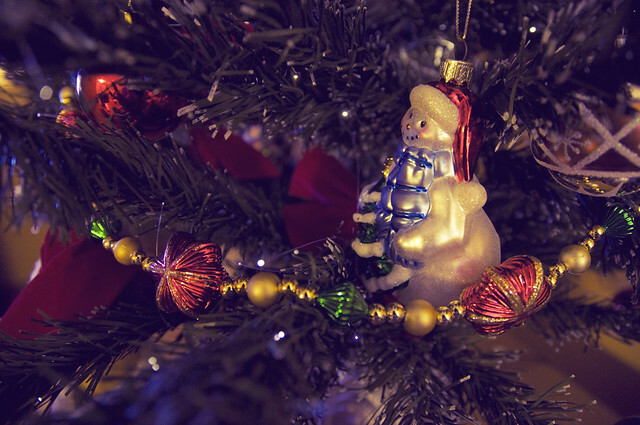 Hang out with your friends and do something fun and holiday themed. Go ice skating, watch a movie, bake cookies with your friends! It’s still loads of fun and they won’t have to pretend to be into your girly interests because your girlfriends are probably into it too! Set aside “me time” – Make a nook for yourself in your house. Personally, I love to make my fun cozy time by turning on the Christmas lights I have draped around the room, turning on my portable heater, tuning down the lights, lighting a nicely scented candle, and curl up with my iPad to read a book or watch a fun girly movie. It’s the ultimate cozy me-time! Bake up a storm! Make others happy by presenting them with you culinary outcomes – everyone loves delicious cookies, muffins, and cakes this time of the year. Or wait, who am I kidding – people always love those! So spend some time in the kitchen and bake up a storm! You’ll feel wanted, productive, and satisfied. Or at least, I do. Go to the library or bookstore and get some new books to read. As I mentioned earlier, I enjoy curling up to read or watch a movie – but I especially love to read real books. Granted, the lights can’t be dimmed for that one because I care about my vision a lot but it’s nice to get a cup of hot cocoa or tea and sit down with a great read. I’m a total book worm and if you need suggestions for new books to read just check out my book reviews. With that said, I got a package of AZO products in the mail. Thankfully, I have never had a UTI but my friends have and I know how big of a nuisance and pain it can be. Apparently there might be a connection between the number of UTI’s and the cold weather. (source) Also apparently people in the colder regions have higher numbers of UTI occurarnces than people living in warmer climates. (source) So clearly, there is a chance you or someone you know might get an UTI this winter season. I hope you won’t but we are not psychics. It’s better to be safe than sorry and have the product necessary on hand to fight the awful pain that may come along with this. Courtesy of AZO, I am doing a giveaway. One lucky winner will get a free box of AZO Urinary Pain Relief. Keep AZO handy during cuffing season! You wouldn’t want a UTI to ruin your new relationship, or get in the way of your fun single life, during the winter months. AZO is available in two different forms, AZO Cranberry and AZO Urinary Pain Relief. 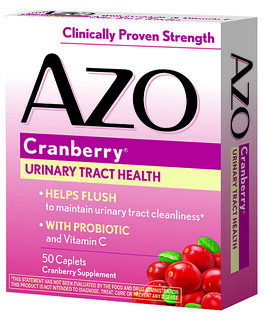 AZO Cranberry is designed as a preventative tool for chronic UTI sufferers. It helps cleanse the urinary tract and is the only cranberry supplement that provides a clinically proven daily dose of cranberry. AZO Urinary Pain Relief relieves real pain and goes directly to the source of UTI pain, unlike general pain relievers, providing relief within the hour. Find the solution that works best for you by heading over to the AZO website now! This is a sponsored post written by me on behalf of AZO. The opinions and text are all mine. BREATHE! Set out time for yourself every day to just reflect. Girl, this is going to be the first time in 4 YEARS that I’m going to be single during the holidays. And yes, this is the first time I realize this and yes, it’s kind of overwhelming to think about :/ Oh well…it is what it is! Thanks for the suggestions. I definitely need them. OOf man, well good luck – I’m sure you’ll be just fine 🙂 It’s a change but think of all the awesome things you CAN do that you couldn’t before! or could but really didn’t do much. I don’t find myself too tempted to snuggle up with someone just due to hlidays, prob b/c I don’t jsut have people to choose to snuggle with HA. More like…if one came along I’d be too shocked to do anything?! LOL 😛 I don’t mind being single right now, I’m working on that me-time you talked about and just finding myself cheesy as that sounds. I LOVE reading and also spending time with family and friends! Why would you be surprised if someone came along! Have some faith girl! You’re awesome. And I LOVE reading too. I am always surprised when people tell me they hate reading. Smh.